Code name is actually the real name, who'd a thunk it? For those looking forward to the funky new name for the forthcoming Windows 7 operating system, the wait is over – and Microsoft has called its replacement for Vista 'Windows 7'. Following XP and Vista, many believed that Windows 7 was merely the codename for the OS as it went through the development process. But Microsoft has decided otherwise. It will call what may prove to be the most pivotal Windows version in decades 'Windows 7'. 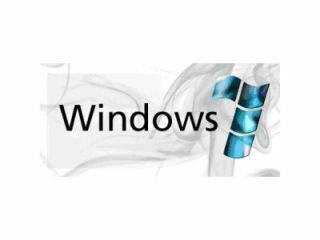 "Simply put, this is the seventh release of Windows, so therefore 'Windows 7' just makes sense," wrote Microsoft General Manager Mike Nash as he unveiled the 'new' name. Nash explained that the company did not want to put a year in the name, because a new version is not shipped every year, and that it was not being given an 'aspirational' name like Vista or XP because it was not an 'entirely new release' but an incremental improvement on its predecessor. "Over the years, we have taken different approaches to naming Windows," Nash wrote. "We've used version numbers like Windows 3.11, or dates like Windows 98, or 'aspirational' monikers like Windows XP or Windows Vista. "And since we do not ship new versions of Windows every year, using a date did not make sense. Likewise, coming up with an all-new 'aspirational' name does not do justice to what we are trying to achieve, which is to stay firmly rooted in our aspirations for Windows Vista, while evolving and refining the substantial investments in platform technology in Windows Vista into the next generation of Windows." It's a move that perhaps indicates the no frills approach the Redmond company is taking as it looks to put the failings of Vista behind it. The failure of XP's successor to take off, as well as competition from the likes of Apple's OS X and several versions of Linux which are proving popular in netbooks, has put massive pressure on Windows 7 to prove a success. With analysts openly asking if the time of the ubiquitous Windows PC is coming to an end, Microsoft needs to prove that it is still the best option for consumers and businesses. Windows 7 is expected to arrive at the very end of 2009 or early 2010, but it remains to be seen if the marketing campaign proves to be as low key as the name.